Anglesey Garlic and Go Garlic are both part of Hooton’s Homegrown, based in Brynsiencyn on the Isle of Anglesey, North Wales. We have been learning about and growing garlic successfully for many years on a small scale. 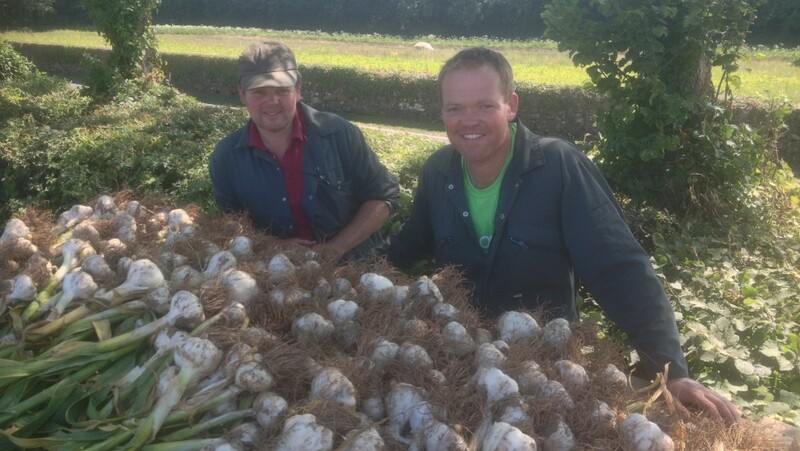 Production has now been increased and our garlic will soon be available on-line. The garlic that we grow has much more flavour than the imported garlic that you find in most shops. Hand planting takes place in the winter and the first green garlic is ready to harvest in late May, early June. This has a mild taste and is very juicy – perfect for light summer dishes. The main garlic harvest takes place in August; the plants are carefully lifted and taken into our glasshouse where they are dried using nothing but the sun’s rays. Our garlic will keep until the following spring. When dried our garlic packs a huge amount of flavour, giving most dishes a real lift. We produce an ever increasing range of foods using our own garlic, such as our own Go Garlic branded garlic baguette and our popular garlic and onion marmalade.